It is cultivated in gardens throughout the country. beside streams, ponds and lakes. 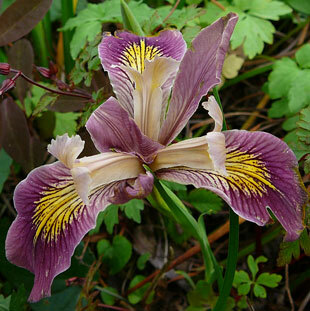 Purple Iris is a rhizomatous perennial herb, growing up to 100cm. 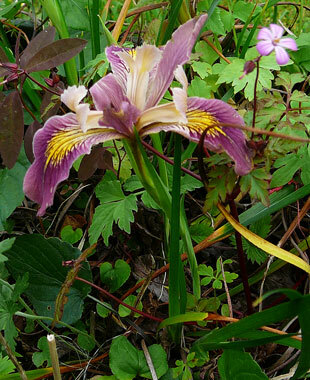 The flowers are pinkish-purple with central yellow patches. Leaves are hairless and dark green.